Large address space. Divided along 16-bit boundaries, converted to 4 digit hexadecimal numbers, separated by colons - known as colon hexadecimal . Simpler host configuration. IPv6 supports dynamic client configuration by using DHCPv6 and IPv6 also enables routers to configure hosts dynamically. Improved routing efficiency. 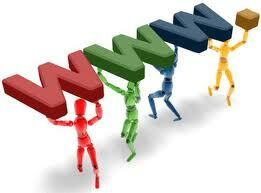 Reduces how many routes the Internet must process by supporting hierarchical routing. Built-in security. IPv6 ensures all hosts encrypt data while in transit by including native IPSec support. Anycast. Identifies multiple interfaces, but delivered to a single interface, the closest one. Used for locating services or the nearest router. Class A. Default subnet mask 255.0.0.0 and have 0-127 as their first octet. Class B. Default subnet mask 255.255.0.0 and have 128-192 as their first octet. Class C. Default subnet mask 255.255.255.0 and have 192-223 as their first octet. DHCPv6 can provide stateless configuration settings or stateful address configuration to IPv6 hosts. Stateless autoconfiguration is used for configuration settings from the DHCP server. Stateful address auto configuration is used to configure both IP addresses and other configuration settings from the DHCP server. With IPv6, you don't need DHCP to configure addresses, although your network might benefit from using a DHCP. When a DHCP server is configured on a domain, the DHCP server checks itself against the domain's list of authorized DHCP servers and if the DHCP server's IP address is not on the list, the DHCP server will shut itself down. Use netsh to authorize the server in Active Directory and configure DHCP scope information if a server is running Windows Server 2008 Server Core and is part of a domain in Active Directory. Standalone DHCP servers cannot coexist with another authorized DHCP server on the same subnet. 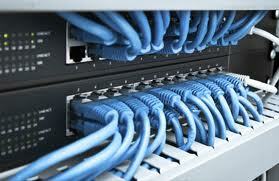 Permanent lease assignments used for clients that require a constant IP address. User Classes in DHCP are used to specify a different DHCP configuration from the default DHCP configuration. When a client computer sends a request for an IP address, the DHCP will check to see if there is a user class before assigning an IP address to the client. To identify clients in certain sites and locations. For example, clients using specific printers in a department could be in the same user class. To assign certain options based on the user class. For example, you might want to assign Internet access to only certain user classes. 003 Router Perferred list of IPv4 router addresses that are on the same subnet as the DHCP clients . 006 DNS Servers IP addresses for DNS name servers. 015 DNS Domain Name The domain name DHCP clients use when resolving unqualified names, and also allows clients to perform dynamic DNS updates. 044 WINS/NBNS Servers Primary and secondary WINS servers IPv4 addresses. 046 WINS/NBT Node Type In order for WINS to function properly, you must set option 046. The perferred NetBIOS name resolution method, such as b-node or h-node. 051 Lease A special lease duration for remote access clients. Dism command in Windows Server 2008 R2 Server Core is used to add the DHCP Server role. 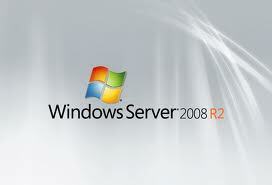 Used to maintain routing information and routing tables in Windows Server 2008 R2. Enables RRAS servers to exchange routing information with other routers. RIP needs to be enabled on a RRAS server. Disadvantage of RIP is its inability to scale to large networks. Maximum hop count used by RIP routers is 15. Add UDP ports 67 and 2535 and Tcpsvcs.exe to the Windows Firewall exception list. route command is used to view and change entries in the local IP routing table (you can administer routes more quickly using the command line rather than the Routing and Remote Access console). Lets traffic protected by IPSec bypass Windows firewall regardless of incoming rules. Explicitly allow or block traffic directed to the computer from other hosts that match the criteria of the rule. Explicitly allow or block traffic originating from the computer if it matches the criteria of the rule. By default, DNS performs recursion on behalf of its DNS clients and servers that have forwarded DNS client queries to it. DNS servers query other DNS servers for the requesting client to fully resolve the name and sends an answer back to the client. Attackers can use recursion to deny the DNS Server service. Unless recursion is needed, you should disable it. If you disable recursion, the DNS server will only resolve names for which it is authoritative. A DNS server used to forward DNS queries according to the DNS domain name in the query. Used to provide a list of names and addresses of DNS servers that are authoritative for the root zone of the DNS namespace. Root hints can be used for resolving external names that cannot be resolved from a DNS server or by sending the request to a forwarder. Root hints are contained in a file named CACHE.DNS that is located in the \\Windows\System32\DNS folder. 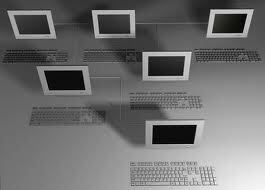 It is a text listing of IP addresses with the matching root DNS servers. Start of Authority (SOA) resource record, Name Server (NS) resource records, and glue A resource records for the zone. 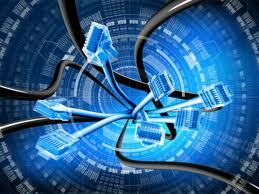 IP address of one or more master servers that can be used to update the zone. Stub zones help reduce the amount of DNS traffic on your network. Command to clear the DNS server cache. Name resolution problems can occur when a DNS server has cached a record that has changed. Clearing the cache removes the stale records. Command to set the IP address to service DNS requests. Command to reset an interface's configuration. Command to delete an interface. Install the DNS Server Role in Server Core. Using the /w prevents the command prompt from returning until the installation is complete. To discover the available server roles. It also lists the server roles and features currently installed. Provides single-name resolution for networks without a WINS server. 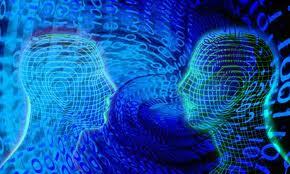 Global Names zone resolution must have all authoritative DNS servers running Windows Server 2008 or later. Global Names zone must be integrated with Active Directory for deployment across multiple domains and forests. Provide name resolution even when a WAN link is temporarily unavailable between domains if there is an authoritative DNS server installed on a domain controller. A copy of a zone that contains only the resource records that are necessary to identify the authoritative DNS servers for the zone. This enables the DNS server hosting the parent zone to be aware of the authoritative servers for the child zones. A stub zone is kind of like a secondary zone because it obtains its resource records from other name servers, and a stub zone is read-only like a secondary zone. However, stub zones contain only three types of resource records: a copy of the SOA record for the zone, copies of NS records for all name servers that are authoritative for the zone, and copies of A records for all the name servers authoritative for the zone. A read-only copy of a zone that was copied from the master server during zone transfer. Removes outdated DNS records that can accumulate in the zone over time. Disabled by default, must be enabled for a zone. DNS records that are manually created by an Administrator are NEVER scavenged. Used to view and change the properties of DNS servers, zones, resource records, and zone types. Determines how long the secondary zone server can service records without being able to contact the primary zone server for an update. IPv6 resource record used to resolve FQDN host names to IPv6 addresses. Sometimes called canonical name, the resource record enables you to register a different FQDN for a computer already registered with a host A record. Contains recorded information about a host's CPU type and operating system. Used to locate computers running specific services. Identifies a server that hosts a well-known service, such as the FTP service. Includes the host, the IP address of the host, whether the protocol is TCP or UDP, and a list of services the host provides. Allows DNS to respond to queries more quickly because zone data is loaded in the background from AD DS while the DNS server restarts. Enables the server to respond to client requests by requesting data from other available zones. Use to manually update Active Directory Integrated zones. Read-only copy of a domain controller. The DNS Server Role provides primary read-only zones on RODCs. RODCs are good for branch offices that are not physically secure enough for a domain controller. Should be the physically nearest domain controller for a client. Used to specify the IP address of each DNS server. Priority is determined by the order. If the first DNS server is not able to respond to a name-resolution request, the next one is used. DNS servers that build a local server cache of names learned while querying recursively on behalf of clients. The names are then available when answering subsequent queries. Caching-only DNS servers do not host any zones. Caching-only DNS servers are not authoritative. Good for remote sites with a slow network link where full zone transfers might consume too much bandwidth. DNS server configured to forward DNS queries, according to the DNS domain name in the query, to the authoritative DNS server. Helps to keep traffic generated by name requests to a minimum by limiting the number of DNS servers that have to connect to the Internet and other external networks. Provides host name resolution on the local subnet for IPv4 and IPv6 addresses. Provides single-name resolution throughout the network, across forest boundaries. DNS records in a GNZ must be entered manually. Stored on a local computer. Contains a list of host names and IP addresses. The client first checks the local DNS cache (the Hosts file is loaded here), before querying the DNS server. 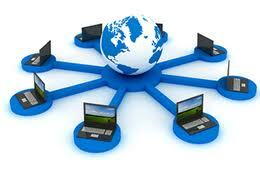 Provides Remote Desktop Services for authorized clients with access to internal resources. RD Gateway uses Transport Layer Security (TLS) to encrypt communications. RD Gateway uses Remote Desktop Protocol (RDP) over HTTPS to establish a secure, encrypted connection between remote users on the Internet and internal resources. You should get user certificates from the internal certificate authority and every server must be configured for Network Level Authentication to only allow Remote Desktop client computers access. When the Remote Desktop session is active, RD locks the target computer to prevent interactive logons for the session. Use Remote Desktop Services CAP (Connection Authorization Policy) to identify user or computer groups to secure access to the server resources. Define a Remote Desktop Services Resource Authorization Policy (RAP) to identify the resources for which they have access. Must have a server certificate. Can use either Protected Extensible Authentication Protocol (PEAP) or Extensible Authentication Protocol (EAP). Wireless. Wireless access points must support 802.1x to be configured as clients to NPS. Configure them as RADIUS clients to pass authentication requests to NPS. By default, Protected Extensible Authentication Protocol (PEAP) with Microsoft Challenge Handshake Authentication Protocol (MS-CHAP) version 2. PEAP helps to prevent rogue wireless access points on the network. MS-CHAPv2 uses passwords for authentication. A new VPN protocol Secure Sockets Tunneling Protocol (SSTP) allows Point-to-Point (PPP) protocol packets to be sent over Hypertext Transfer Protocol (HTTP) over SSL (HTTPS) using port 443. SSTP supported by Windows Vista and Windows Server 2008. L2TP/IPSec allows end-to-end encryption and computer authentication on a VPN. L2TP/IPSec uses PPP for user authentication and IPSec for machine authentication. L2TP traffic is sent over UDP port 1701. L2TP/IPSec authenticates both the user and the computer. User and computer client certificates are required. Uses IP protocol 47 to send data. A PPTP control connection is established from a dynamically-allocated TCP port on the PPTP client to TCP port 1723 on the PPTP server. Uses Point-to-Point Protocol (PPP) for user authentication, and 128-bit Microsoft Point-to-Point Encryption (MPPE) for data encryption. Client computer is not authenticated with PPTP. NAP controls network access based on a client computer's health compliance requirements. Antivirus is running and signatures are up to date. Evaluates statements of health that are sent by NAP-capable client computers attempting to communicate with the network. Placed on the restricted network and can be accessed by non-compliant clients. Installing necessary patches, configurations, or applications to bring a non-compliant client computer to a healthy state. Clients are able to access resources anytime they have an Internet connection without having to connect to a VPN. Administrators can restrict who has access and to what resources. 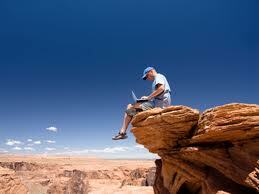 Remote users are able to receive updates and be centrally managed as if they are local. Enable so users will only see files and folders they have permission to access. Not enabled by default, though it is enabled by default on newly created shared folders in Windows Server 2008. Used to diagnose and help resolve namespace issues. Command-line utility for configuring and managing DFS replication. Replaces FRS as the replication engine for DFS. Uses multimaster replication engine to keep folders synchronized across servers for limited-bandwidth network connections. Replicates AD DS SYSVOL for domains using Windows Server 2008. Default method for restoring Active Directory. Start the domain controller in DSRM (Directory Services Restore Mode) and restore to a state at the time of the backup and then normal replication overwrites that state with any changes after the backup. Replaces Ntbackup for backing up from the command line. Windows Server 2008 R2 supports backing up directly to removable media, including DVD. Scheduled backups must go to a second local volume or a shared folder. Once in the Windows Recovery Environment, use the wbadmin command to recover volumes. Specify -restoreallvolumes to recover all volumes. Otherwise, only the operating system will be restored. systemstaterecovery option restores only system state. 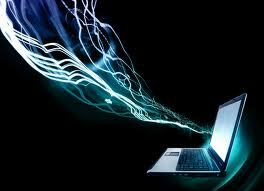 It does not recover the operating system files or data files. Shadow copies should be written to a volume on a different hard disk than the shared files. Maintain up to 64 copies of each shared file. Enabled at the volume level (enabled for all shared folders or none of the shared folders). Services for NFS provides UNIX and Linux clients with access to resources on a file server running Windows Server 2008 R2. A GUI utility not supported on Server Core Installs. Located in Administrative Tools. Add a printer in Printer Management lets you search for network printers. Send notification when a print condition occurs. Run a script when a printer condition occurs. Command-line utility used to migrate printer settings from one print server to another . Can export printer settings as a backup. Cannot migrate directly from older operating systems to Windows Server 2008 R2. View print jobs queued through the Line Printer Daemon (LPD). The LPD is a network protocol for submitting print jobs to a remote printer. Controlled by the List in Active Directory check box on the Sharing tab of the Properties sheet for each printer. Command-line management utility for WSUS. When you create a WSUS Website during WSUS install, the Website is configured to use HTTP port 8530 for unencrypted communication. Open port 8530 to enable communication with the servers. Port 443 is used for secure communication. Server on which updates are approved. Receives updates from the upstream server. RACAgent, Reliability Analysis Component, a hidden scheduled task that must be running on the computer. It is automatically configured during system install. Responsible for gathering the reliability data and displaying in the chart view. Choose the default creation settings to have the data collector set based on the currently selected performance counters. Gives a quick overview of total network bandwidth usage. Can consume lots of system resources. Not recommended in a production environment, best to use netcap.exe command line version to monitor production. You can create a data collector set with the network performance counters you want to monitor, and schedule Windows Reliability and Performance Monitor to start automatically and log counter values at various times during the day.